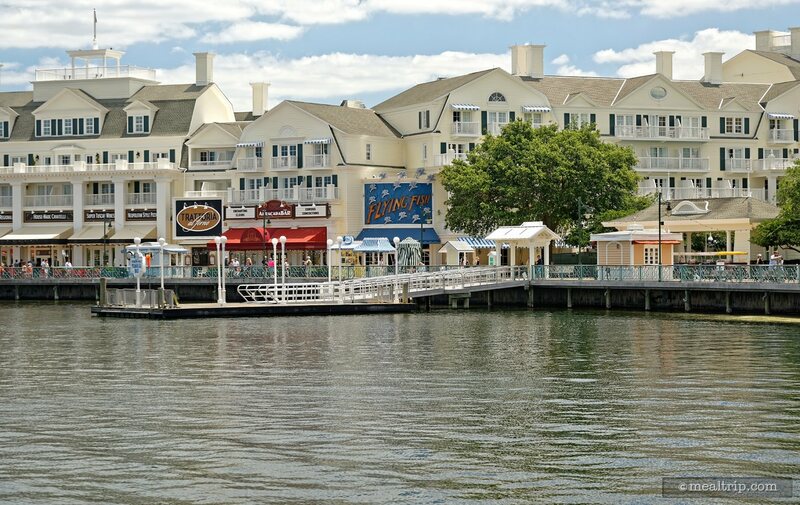 The Flying Fish is not only BoardWalk's signature restaurant, but it seems to float to the top (pun intended) of a short list of "actual genuine signature restaurants" on Disney property (i.e. not all "signatures" seem to hit the same mark)... the Flying Fish does. 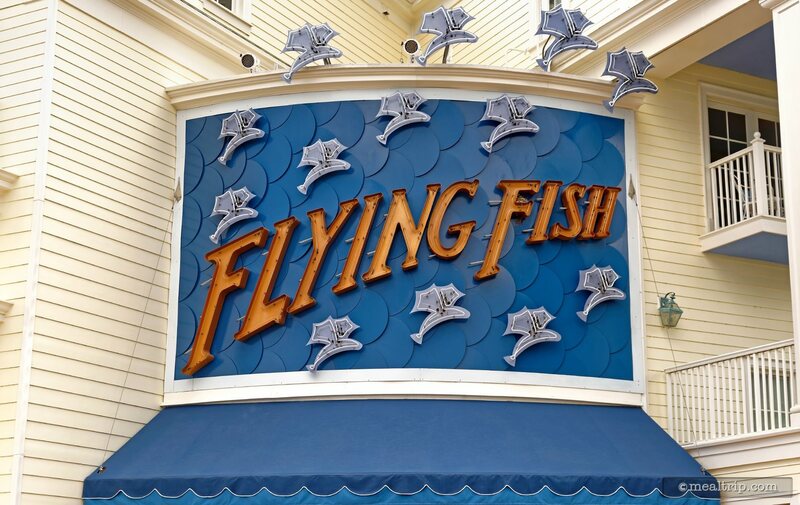 For starters, Flying Fish just received an interior redesign and the space looks great. It's not a very large dining location, and they have managed a very upscale but still friendly environment with rich blue and gold tones throughout, with many glass and wave elements to tie the "sea" and flying fish theme back into the room. There is an on-stage open kitchen of sorts (i.e. a large glass wall keeps the kitchen from technically being "open" but allows those sitting at the "chef's counter" to get closer to the action than you would otherwise be). 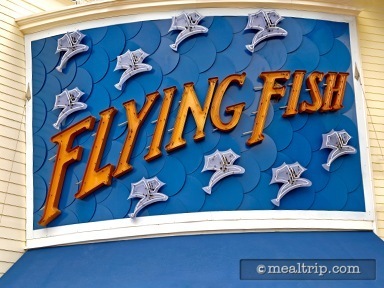 You need to have great food to be a signature dining location though, and the Flying Fish delivers on that mark as well. The menu is not the "same" as it was. That seems to be the biggest initial thing working against the Flying Fish, but give the new menu a try. It includes some well crafted items that can not be found elsewhere on property. The wine list at Flying Fish is not as extensive as some other signature locations, but there seem to be more craft beers, and definitely more designer cocktails and coffees here. I mean really, where else are you going to find a Maple Bacon Fig Manhattan? No where. 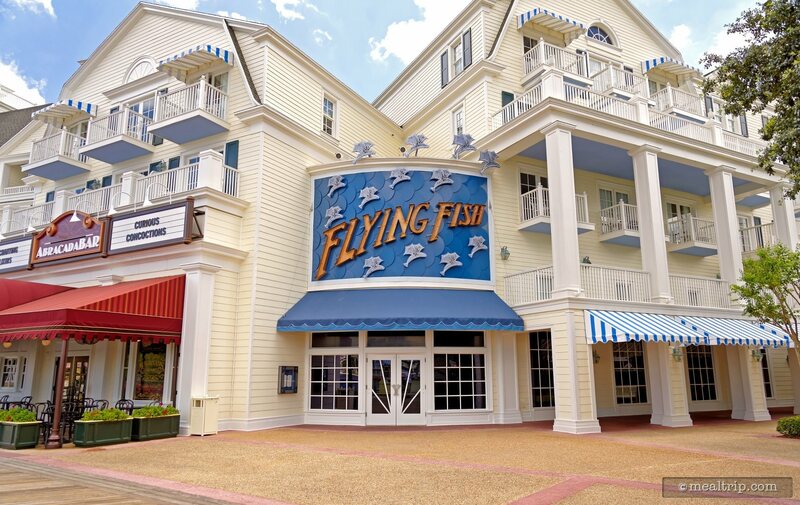 Reservations are highly recommended at the Flying Fish. It's often booked to the gills (another pun, sorry).